New series. For finding all articles under 'Eat', click at the label in the sidebar. 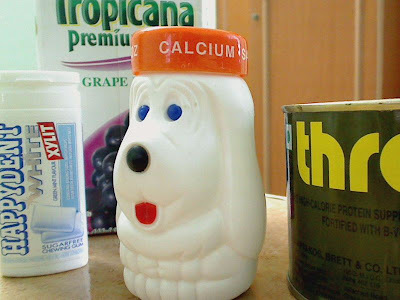 If one consumes milk products regularly, calcium requirements will be met effortlessly. Fortified whole wheat also has a significant role to play. Given that we don't eat much soya items in India, vegetable intake is irregular and food quality is uncertain, it is worth considering a supplement. I take a single tablet of Calcium supplement daily which gives 250mg of Calcium. The rest comes from fortified wheat, vegetables and milk. Disclaimer - I am an Electrical Engineer. Consider the above text at your own discretion.